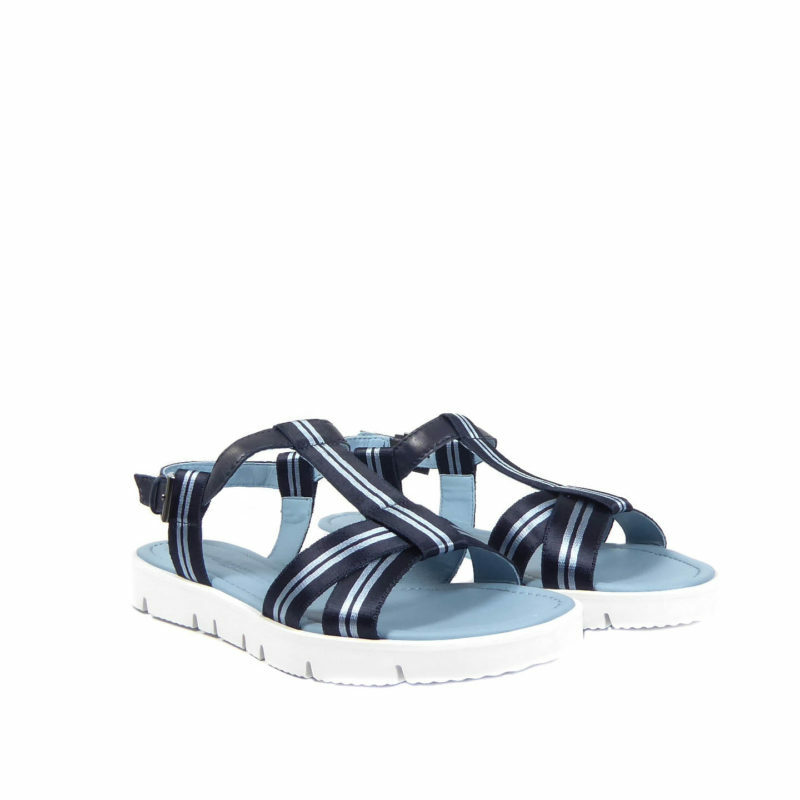 Lightweight flatform sandal, shown here in a white and blue combination. 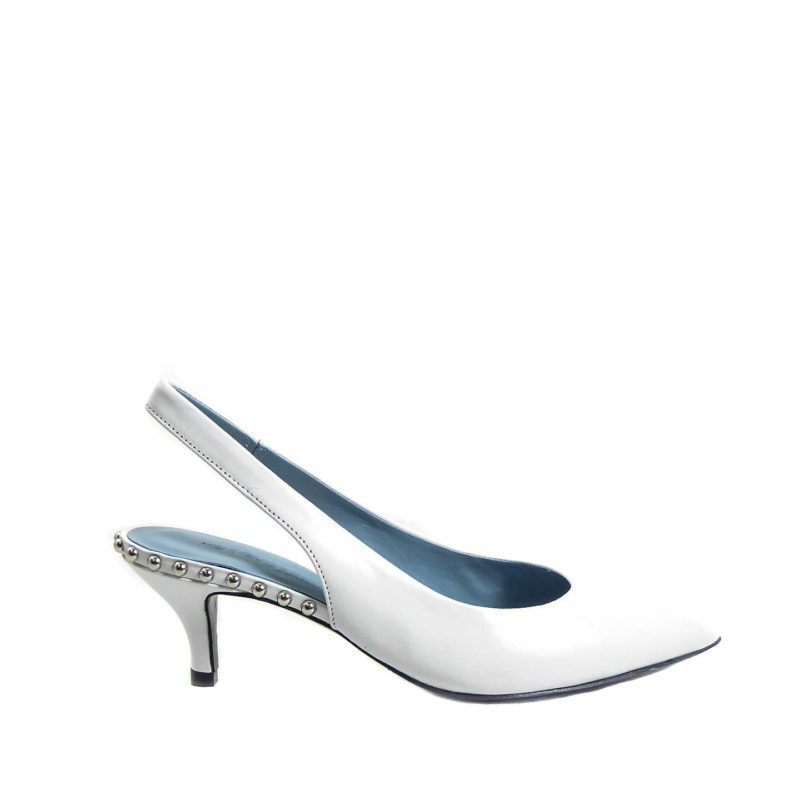 Featuring a two tone blue ribbon and leather upper . 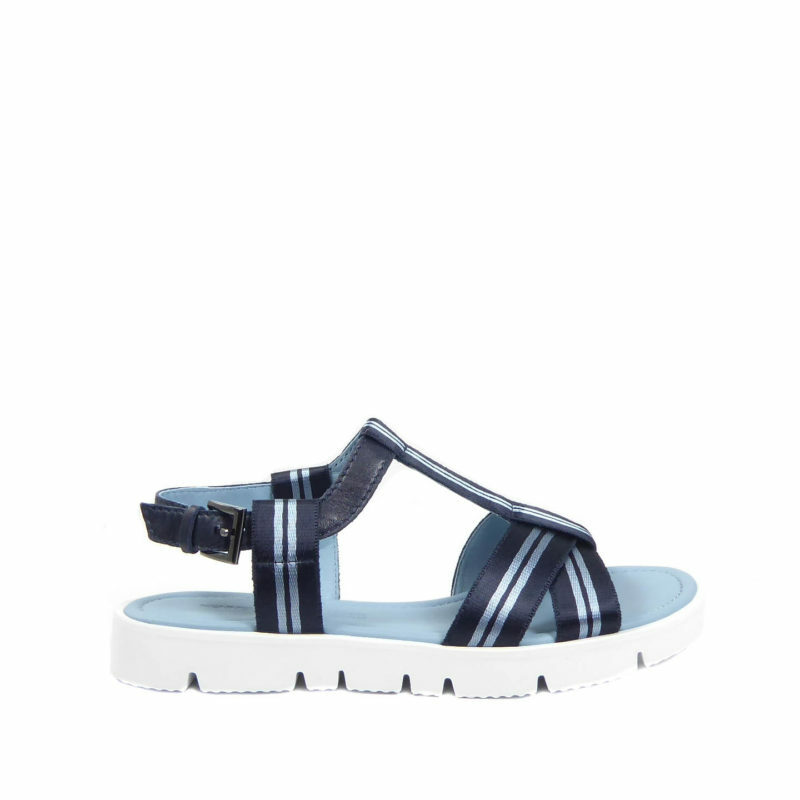 Adjustable buckle strap and leather lining. Perfect for this seasons denim.